This treatment could turn out to be an anti-aging serum, but for your bones. For every month in space, astronauts can lose 2.5 percent of their bone density. This is quite troublesome, as it will likely compound with the natural process of aging that also reduces bone density. However, a new therapy could be a fantastic solution to this issue, along with many other bone-weakening conditions. 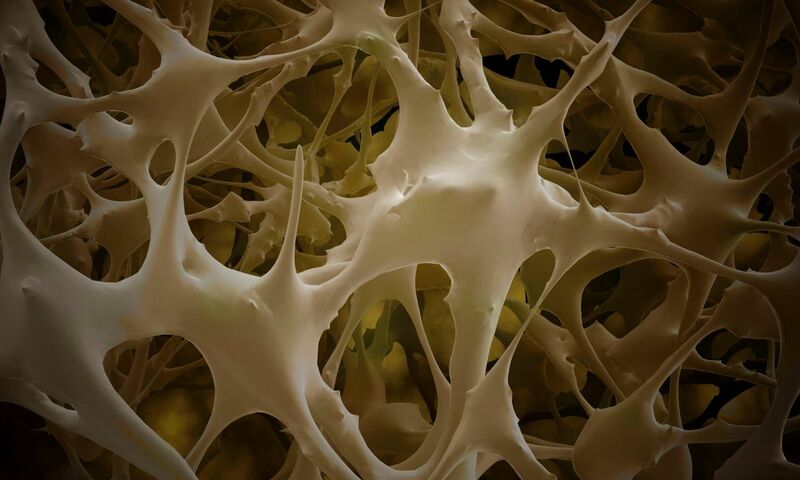 Researchers from University College London have discovered that stem cells found in human amniotic fluid could be used in a treatment to strengthen brittle bones. The research, published in Scientific Reports, shows the treatment resulted in 79 percent fewer fractures in mice with brittle bone disease. Out of a total 324 mice, 168 were treated, while 156 served as the control group. Eight weeks after the mice were treated both the test group and the control group were evaluated for fractures. Every control mouse exhibited fractures. Conversely, fractures in the experimental group decreased between 69 and 89 percent, leading to the 79 percent decrease in the fracture rate across all tested bones. Pascale Guillot, the study leader, found that the treatment was not resulting in new bone formation, but instead helping to fortify existing bone tissue. The team is hoping to start clinical trials within the next two years to see if the results can be replicated in humans. The aim of the treatment is quite versatile. Should it prove viable in humans, the treatment could be used in babies suffering from the genetic brittle bone disease, the elderly living with osteoporosis, and help astronauts regain bone density after long missions in space. According to the National Center for Health Statistics, four percent of all men over the age of fifty, and sixteen percent of women of the same age, suffer from osteoporosis in the United States. Brittle bone disease affects an estimated 25,000 to 50,000 people in the US and has a profound impact on bone formation, strength, and structure of other tissue, according to the Osteogenesis Imperfecta Foundation.